As part of the larger NextCare Urgent Care, this clinic has affiliates with the closest other clinic being in Sun City about 5.9 miles away and is open today from 8:00am to 8:00pm. Recognized favorably amongst their patients, NextCare Urgent Care, Glendale (W Northern Ave) has an average rating of 4.6 stars out of 5 based on 2173 total ratings. In fact, recent patients have frequently used words such as "ambiance", "bedside manner" and "timeliness" to describe their experience at the clinic. Certainly not terms you hear about healthcare providers too frequently! You are always prompt and caring. The doctor and staff are wonderful. I've always trusted my Northern and 101 Highway location! Everyone there was very helpful and extremely nice. The wait time said about 20 minutes but we only waited 10 minutes max. Definitely recommend this place to anyone! Overall outstanding. Was there over two hours. Daniel Deusterman was great!! You cannot have a better person working for you. Daniel (NP) was very kind and attentive. He gave great at home care instruction for my daughter who tested (+) for the flu. The doctor was thorough, friendly, and so amazing. She found out what was wrong with me and really made me feel cared for. This is the best urgent care I’ve ever been to. It was quick & easy. The staff was friendly & nurse practitioner knew my granddaughter's (patient) medical history & talked directly to her & @ a child's level of understanding. The Staff was caring and efficient. They were extremely helpful. 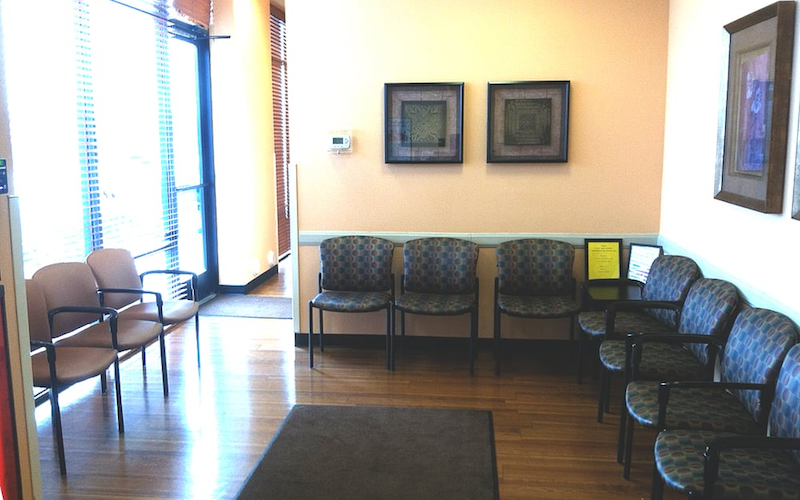 Wait time was very minimal for an urgent care facility. It was clean and the staff were all very friendly. Dr. Anderson is very sweet and explained all questions I had. Yvette, MA-she was very persistant in helping me. Her and Brian, PA, were really good at what they do. I was very happy with the service. they were all about the best you can get. I called for an appointment and was taken info my care right away. Thanks to all the staff. Checked in online at 5:45. Arrived at 5:50. Waited about 10 minutes. The triage nurse was friendly and patient with my son who has down syndrome and autism. Went to the exam room. Waited less than five minutes and the PA came in. Examined and talked to us. Got a diagnosis and prescription sent over to the pharmacy. Great experience! I was in and out very fast Had a test done, was pos. And out I went She explained everything to me very thoroughly.